Co-partner and chief engineer Marc Nelson in the control room of The Alley Recording Company, Valparaiso, Indiana. The studio has an impressive arsenal of gear, much of which was sourced through GC Pro. The two-suite facility certainly does not disappoint in terms of size, aesthetics and gear. The large live room measures 28 feet by 20 feet with 14-foot ceilings, with two isolation booths adjacent. Instruments include a Yamaha C3 grand piano, a Wurlitzer spinet, a vintage set of Ludwig drums, a Hammond A100 organ, various mallet percussion instruments, and guitars from such manufacturers as Gibson, Taylor and Rickenbacker, among other instruments. Nelson selected Focal Twin6 Be three-way monitors with matching subwoofer for his control room. “These are the only monitors I use and for my size, they are perfect. The top end is never shrill and they have plenty of power,” he states. 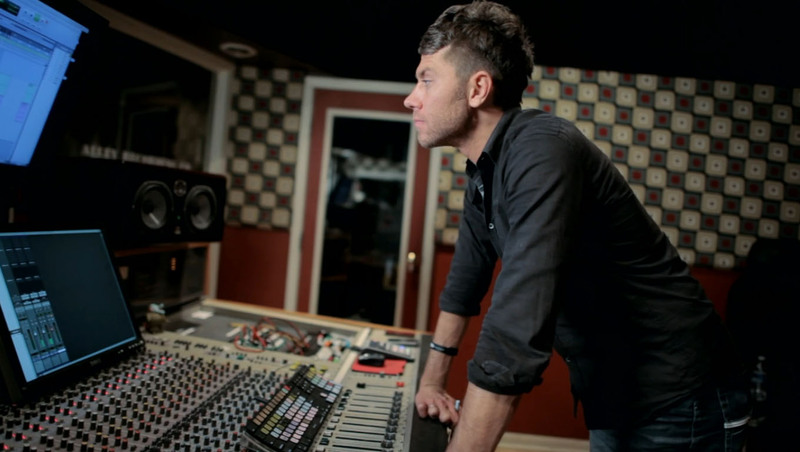 His main console is a 36-channel MCI-Sony MXP-3000, which he runs with his Avid Pro Tools|HD2 system. The console also features eight integrated preamplifiers customized by Greg Norman from Electrical Audio. Outboard amplifiers include models from Daking, Great River, Chandler, Universal Audio, Vintech, Avalon and others. Other gear includes limiters and compressors from Summit, API, Empirical Labs and Chandler. And of course the microphone closet is fully stocked, with units from Audio-Technica, Blue, AKG, Flea (Flea 47 and Flea C12), Royer, Shure, Schoeps and others, which Nelson has mostly bought in pairs. Photo Caption: Co-partner and chief engineer Marc Nelson in the control room of The Alley Recording Company, Valparaiso, Indiana. The studio has an impressive arsenal of gear, much of which was sourced through GC Pro. Guitar Center is the leading United States retailer of guitars, amplifiers, percussion, keyboards and pro-audio and recording equipment. Our retail store subsidiary operates 227 Guitar Center stores across the United States. In addition, our Music & Arts division operates 101 retail stores specializing in band and orchestra instruments for sale and rental, serving teachers, band directors, college professors and students. We also are the largest direct response retailer of musical instruments and related products in the United States through our wholly owned subsidiary, Musician’s Friend, Inc., and its catalogs and owned or operated websites. More information on Guitar Center can be found by visiting the Company’s website at www.guitarcenter.com .